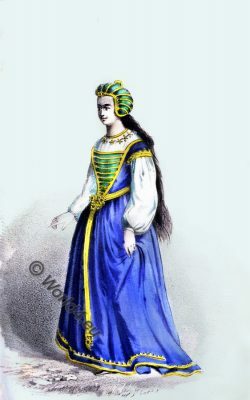 An English lady in 15th century fashion. Late Medieval, Renaissance, Burgundy, Tudor costume. Characterized by the long, trailing sleeves of the chemise.